Part of the Smithsonian Institution’s permanent collection! Door hangers from the 2008 Obama campaign were cut into 2 inch strips and machine sewn to panels made from canvas scraps. The panels were hand stitched on the vintage man’s winter coat. 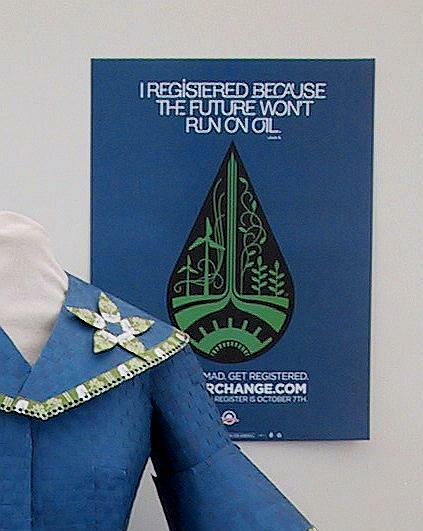 This voter gear took 25 volunteers over 400 hours to complete. It was created in 2009. 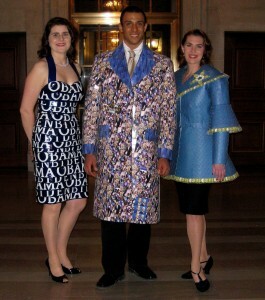 The Obamanos Coat is part of the Change Couture Collection which was showcased at numerous inaugural balls in Washington D.C. in 2009 for the presidential inauguration of Barack Obama. 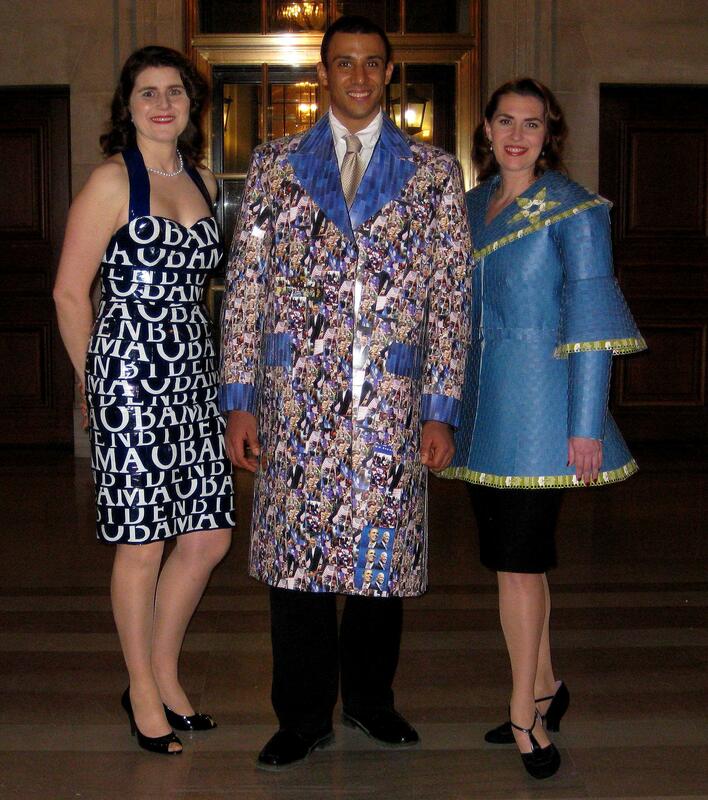 The Smithsonian National Museum of African American History and Culture has added the Obamanos Coat to its permanent collection and is considering its inclusion in one of the initial exhibitions when the museum opens on the National Mall in 2015.